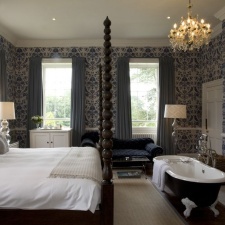 If you are a Soho House lover but fed up with hectic city life, Babington House is your dream come true. Situated on 18 acres of Somerset country parkland, the House is the perfect weekend retreat for those seeking tranquillity as well as those craving outdoor activity and a breath of fresh country air. Delicious food, long country walks, indulgent spa treatments and a game of leisurely outdoor tennis are all guaranteed experiences in the Babington House package. The 32 individually designed bedrooms are the epitome of rustic minimalist luxury. Whatever the time of day and whatever one’s pallet, the various menus available at Babington House will appeal to all senses. Fresh local produce are incorporated into uncomplicated yet refined and healthy dishes. The ‘Bring Me Food’ Menu allows guests to choose 3 starters, 3 mains and 1 pudding which will be brought to the table on the night in large serving bowls allowing diners to serve themselves: a truly ‘homey’ experience. Enjoy a classic cocktail in a large leather sofa in front of an open fireplace in the cosy House Bar. Up to Soho House standards, the wine list throughout the House is distinguished and extensive covering most of the globes vineyards. 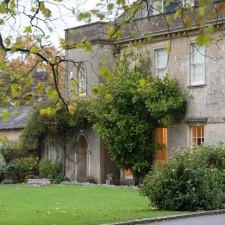 The ideal setting for a traditional country wedding party – with a slightly bohemian twist, Babington House will offer guests the opportunity to tour the 18-acre early Georgian estate and its chapel on Saturday 3rd September. Accommodating up to 130 guests, their wedding packages can be tailored to suit any reception and include one night’s accommodation in all 32 bedrooms, drinks, canapes, wedding dinner and breakfast. To register your interest in attending, please contact Jen Herman on 01373 814 907 or via email. An atmospheric and unique vaulted members' club below The Strand, Adam Street draws a crowd who party as hard as they work. Pulling a fun-loving crowd of actors and creative-types, private member's club The Groucho Club is a Soho staple. Membership is required unless for private hire. Small but perfectly formed, this chic private member's club is relaxed and welcoming but has a definite naughty streak.